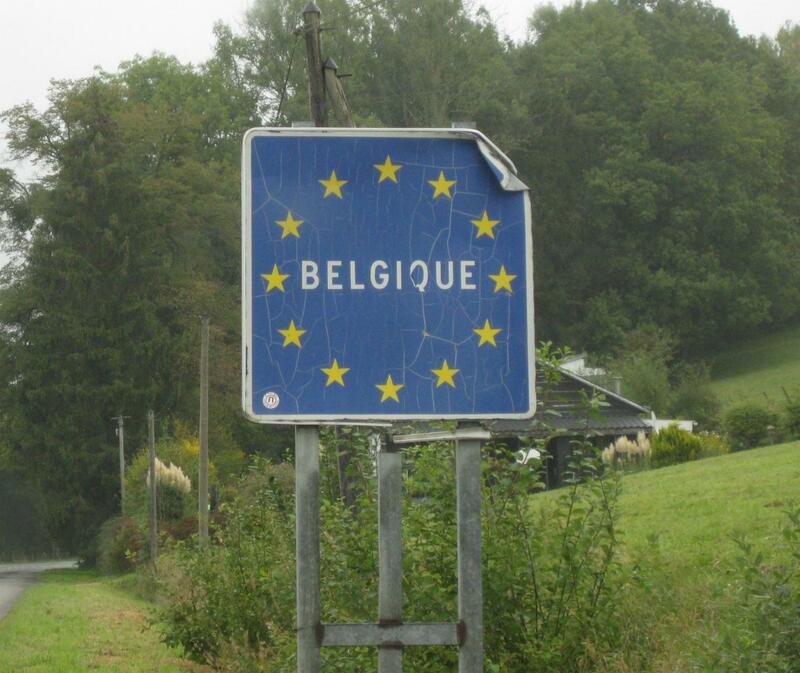 When we left home 11 months ago we said our destination was Belgium and we would take the longest route we could to get there. Just over 11 1/2 months, 17000 miles and 600 gallons of diesel later – we have arrived :). We arrived at Wegimont Chateau and it wasn’t quite as expected, eight spots for motorhomes but also about 200 permanent pitches where the owners stretch out to the limits of their space, a bit like a canvas city. Showers were only allowed at set times and bingo took place each afternoon in the community tent – not somewhere we were going to be staying too long at all! 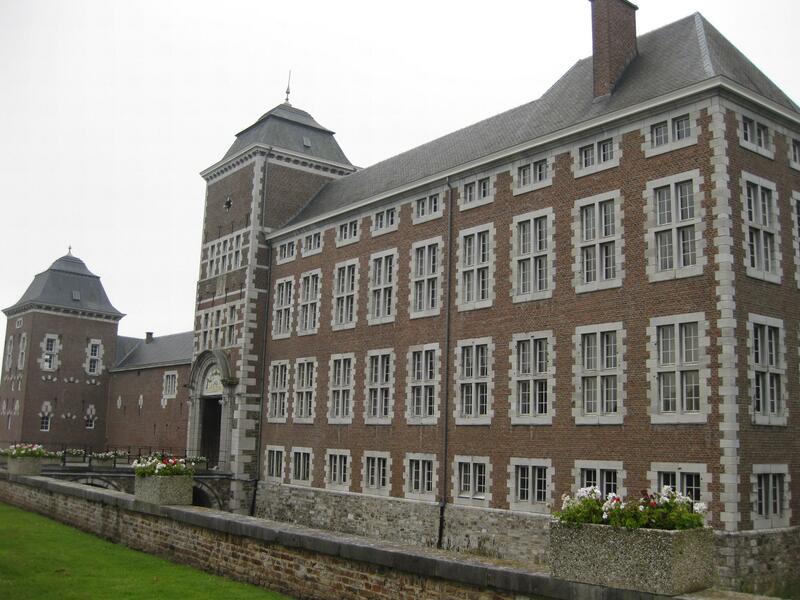 On the upside there was a castle on the site – or Chateau – a Louis XIV style building that was the only Lebensborn maternity home in Belgium. During WWII, these homes were state approved associations with the goal of raising the birth rate of Aryan children via extramarital relations of German men classed as racially pure and healthy with unmarried women. Known locally as an ‘Ayran Stud Farms’, the resultant children were then adopted by likewise “racially pure and healthy” parents, particularly SS members and their families. A cold, wet and dull day we walked around the park – full winter gear out of the cupboards including gloves for the first time in nearly a year, we managed a full sweep of the arboretum and then a quick hike around town to stock up on a few bits then back to the van for a warm up. Each time it gets a bit colder I have used this as evidence to convince Iain we should head for Portugal for some winter sun – alas so far he is holding out for heading home. 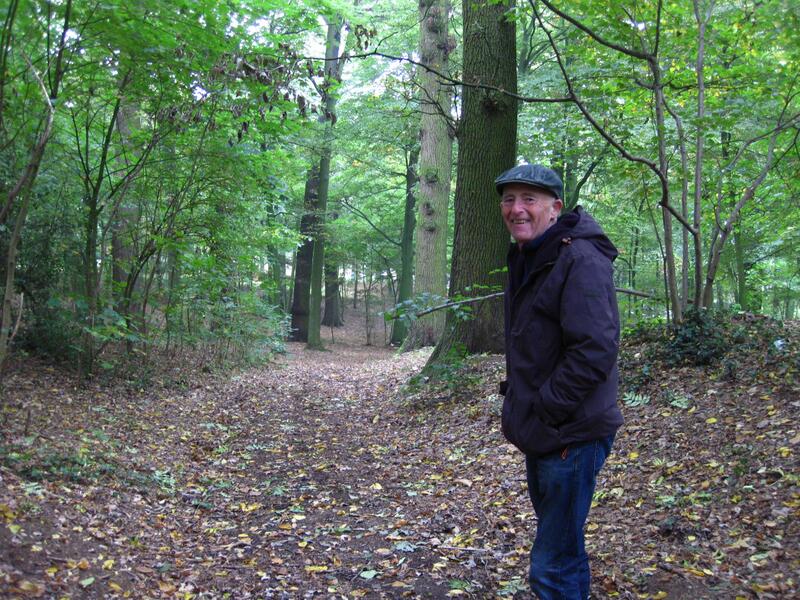 We had planned for a few days around the Liege area, however waking to sleet on Wednesday scuppered that one. Instead we aimed West and left the sleet behind, instead we hit snow! Proper white flakes of the stuff, falling fairly rapidly but luckily not sticking enough to make driving a problem. 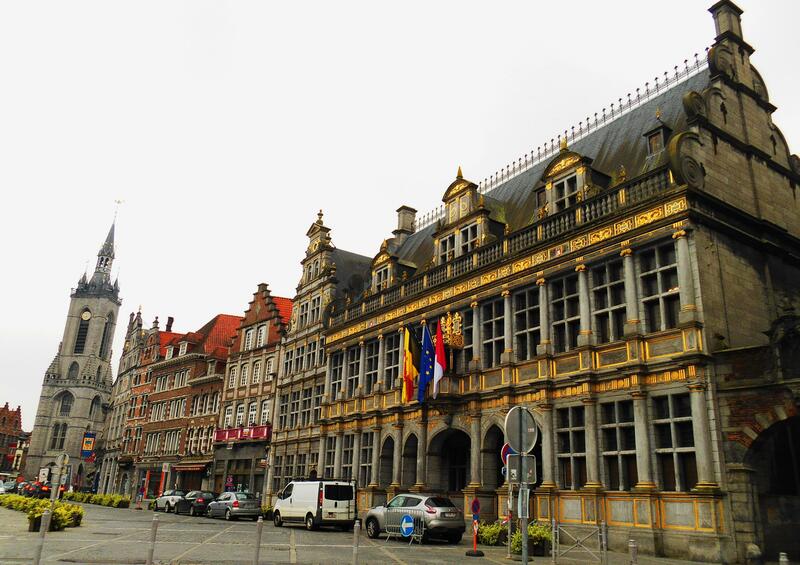 By the time we had arrived in Tournai all signs of snow had gone, replaced with rain and a promise of sunshine later. 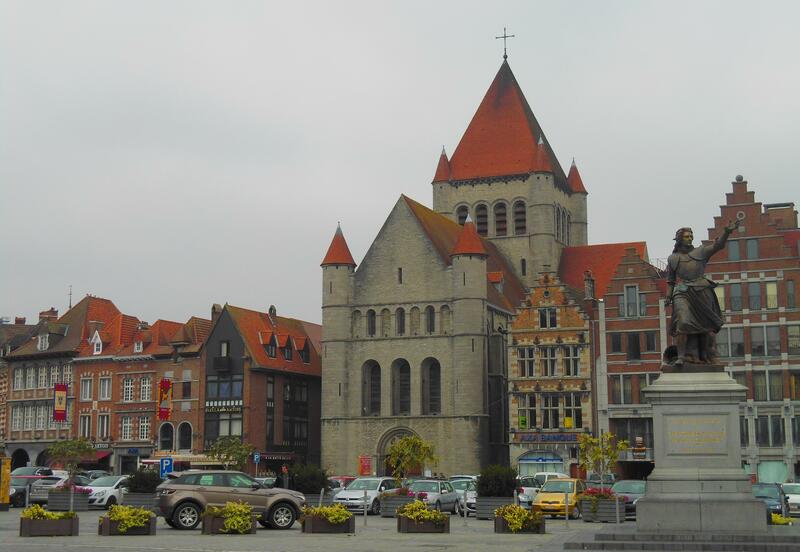 Tournai is the oldest town in Belgium, we had never heard of it, not sure why as its very impressive. One of Belgium’s most culturally import towns, it is chock full of magnificent buildings, including the oldest cathedral in Belgium. As is usual for us the cathedral was shrouded in scaffolding undergoing restoration. 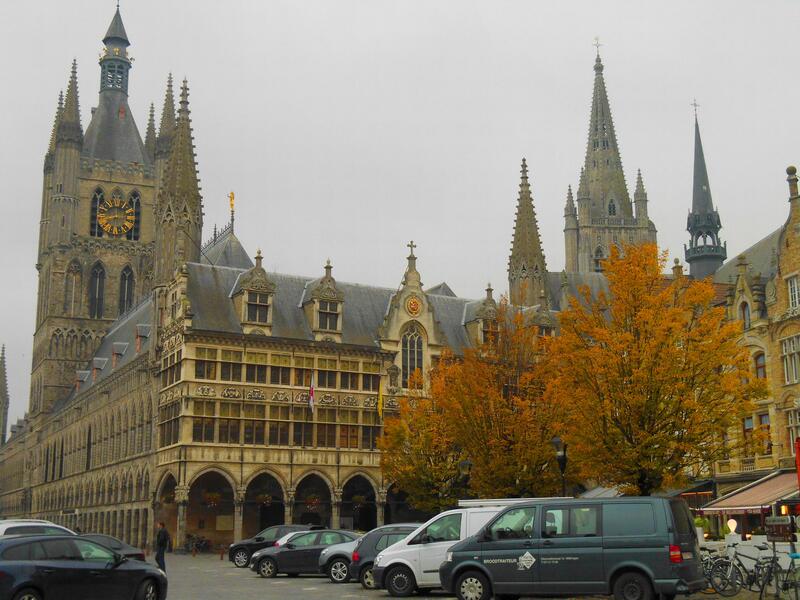 The ‘Grand Place’ town square is a mix of trendy shops, bars and several museums set around cobbled streets with a series of water fountains – all in all a great place to spend an afternoon – unless its freezing and damp which it was so we made do with a couple of hours whistle stop tour. As we started off last November with a visit to the Etaples military cemetery in France so decided our penultimate stop off point would be Ypres. I have never been before, for whatever reason I thought it was a village with the famous Menin Gate. Somewhat surprised then to find a fairly substantial city, rebuilt post WWII with German reparation money. The main buildings in the city centre have been reconstructed as close to the original as possible, it is nearly impossible to believe these building were raised to the ground so recently. The Cloth Hall was one of the largest commercial buildings of the Middle Ages in Europe, the new structure is the exact copy of the original medieval building. 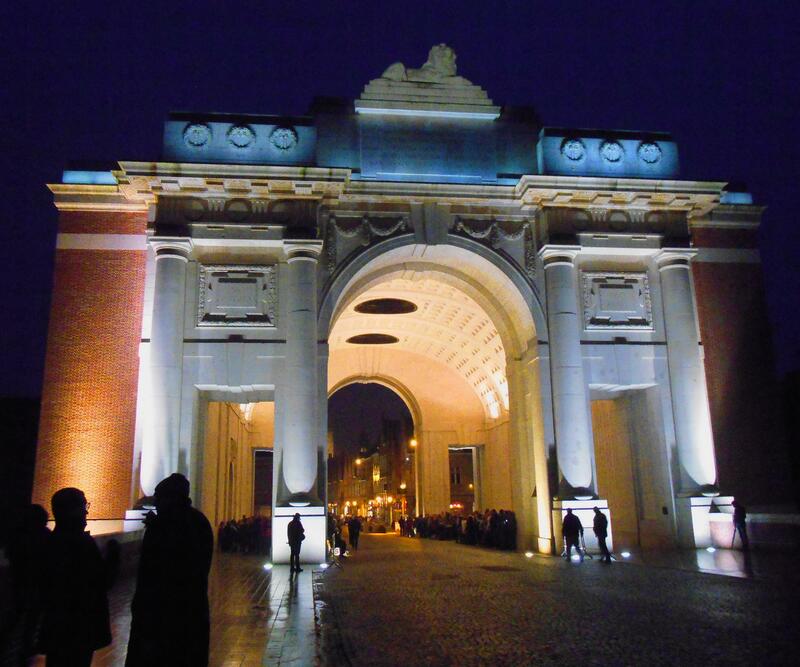 The main reason for visiting Ypres, for us as for many others, was to see the Menin Gate Memorial for the Missing. Over 54,000 Commonwealth soldiers from WWI that have no final resting place are commemorated here (with a further 35,000 names that wouldn’t fit on this memorial inscribed at the nearby Tyne Cot memorial). We were told by a lady from the British Legion in town to be at the gate just after 7pm, even though the service is at 8pm. 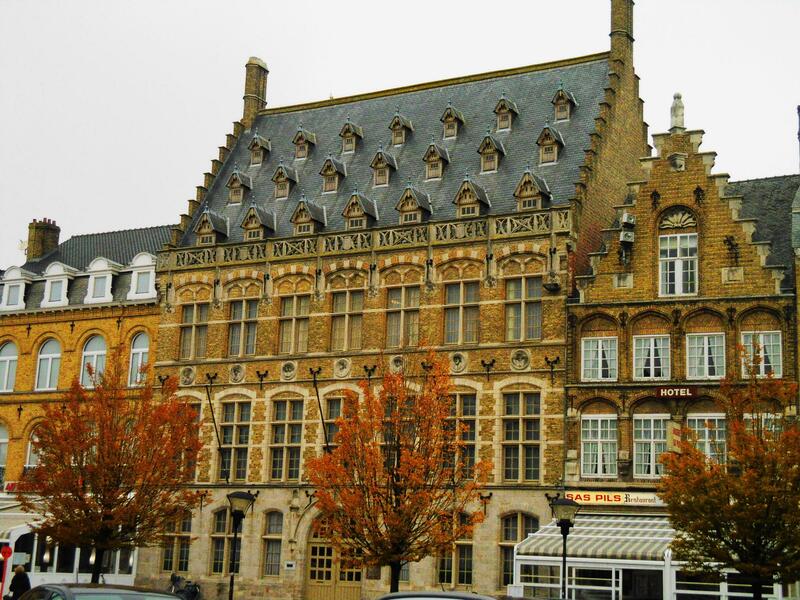 We were amazed, when we arrived there were close on 1,000 people, and we were told this is the same every night of the week, every week of the year since 1928 (with a short break during WWII when Ypres was occupied). We stood with a group of Blackwatch Cadets who had travelled there for the weekend, the next night they were forming a guard of honour (the youngsters had all funded their own trips in order to stand for 10 minutes in honour of the dead). When the three buglers from the local fire brigade sounded the Last Post, it was one of the most simple and moving events either of us have had the honour to attend.